Go ahead. Laugh a little. It does the Body good. The Body of Christ, that is. With charm, wit, and a little bit of irreverence, Rob Staples topples the sacred cows of Christendom. 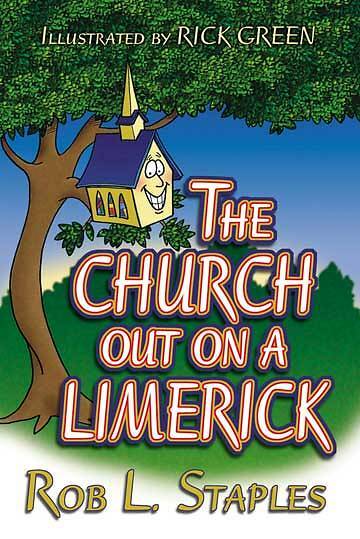 The Church Out on a Limerick is an original, humorous look at the puzzles and paradoxes of the Bible and the Church. Meet Delilah the ancient beautician and Calvin and his jeans (or is that genes?) of original sin. But don’t be surprised if you accidentally hear yourself chuckle and then laugh right out loud at the foibles and eccentricities of the Christian life. And don’t feel guilty about being amused, for, as the ancient writer said, “A cheerful heart is a good medicine, but a downcast spirit dries up the bones”(Prov. 17:22, NRSV). Beacon Hill.